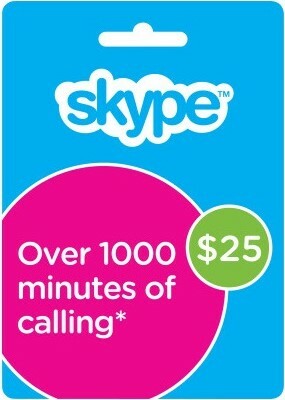 USD 25 Skype Credit will give you access to useful features Skype for a small fee. Treat yourself - or someone else! Any user with a Skype account can activate the Skype voucher anywhere in the world. voucher currency will be converted into the currency of Skype account, for which the license is generated. 1. To do this, you need to log in to your account on the Skype website. 3. Check the box next to "I accept the Skype Terms of Service" and click on "to use the voucher." Balance Skype Credit will be updated within 15 minutes.